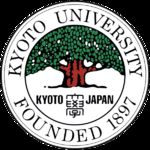 Kyoto University is a major national university in Kyoto, Japan. It is the second oldest university in Japan, and formerly one of the Imperial Universities of Japan. The university has a total of about 22,000 students enrolled in its undergraduate and graduate programs. Kyoto University has historically advocated a "spirit of freedom" in its academic activities. Kyoto University Graduate School of Medicine is a medical school associated with Kyoto University. Spectral-Domain Optical Coherence Tomography with Multiple B-Scan Averaging for Enhanced Imaging of Retinal Diseases. Foveal Photoreceptor Layer in Eyes with Persistent Cystoid Macular Edema Associated with Branch Retinal Vein Occlusion.